Mumbai, India – January 11, 2019 – Perpetuuiti TechnoSoft, has been conferred the CIO CHOICE 2019 Honour and Recognition as the most preferred brand for its ‘Business Service Continuity and Availability Management’ solution delivered through its product, Continuity Patrol™. This prestigious recognition was presented at the exclusive Red Carpet Night, a celebration of innovation and excellence in the ICT ecosystem, produced by CORE Media. 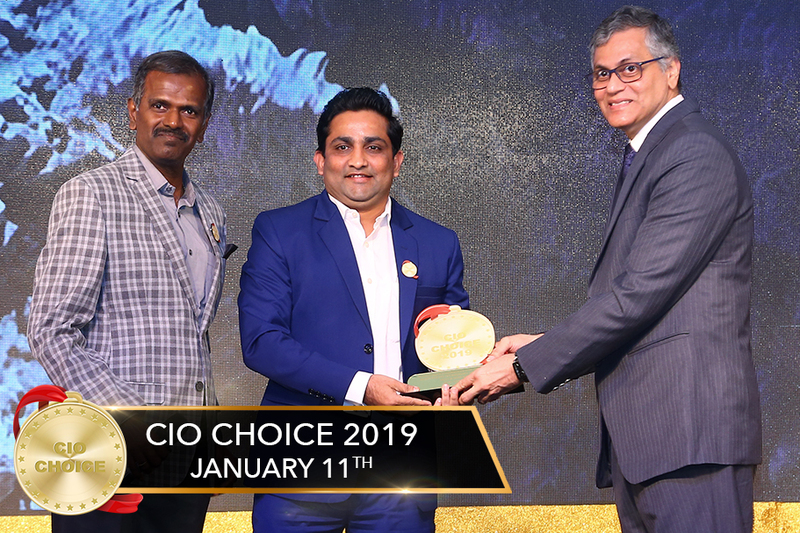 With over 300 ICT leaders in attendance, CIO CHOICE, held at The Lalit, Mumbai, was a star-studded affair with some of the country’s most high-profile CIOs taking to the stage to confer the recognitions and applaud the brands voted as the most trusted ICT partners. Now in its 7th year, the annual CIO CHOICE recognition focuses on ICT brands who showcase a continuous demand for excellence and form the bedrock of industry success. The recognition is bestowed on the basis of pan-India independent voting by CIOs. Perpetuuiti is a leading Enterprise Software Products company with innovative products built in accordance with global benchmarks transforming the way businesses operate in the digital age. Perpetuuiti deploys futuristic technologies like Artificial Intelligence (AI), Cognitive Computing (CC), Machine Learning (ML), Robotic Process Automation (RPA) and iNTELLIGENt Process Automation (IPA) to enable Automation solutions for iNTELLIGENt Business Service Availability Management (iSAM), iNTELLIGENt Organizational BCP Automation (iBCM), Data Replication and Cloud Migration, Real-Time Auto-Discovery of Application IT infrastructure and Application Interdependency Mapping. Perpetuuiti is named RPA Vendor in Gartner’s report of Forecast Snapshot – Robotic Process Automation, Worldwide for 2018 and also included as a vendor in the Market Guide for IT Resilience Orchestration for 2018. The company’s customer base comprises Fortune 500 organizations from a diverse set of industry verticals such as Telecom, Banking, Manufacturing, Insurance and Consumer Products. Continuity Patrol™ (CP) is a unique intelligent Service Availability Management (iSAM) which can help CXOs make well-informed decisions with reduced RTO and enabling real-time visibility into financial impact of the downtime of critical IT service, unplanned outage or degradation of services. It enables agentless orchestration to automate and provide one-click DR (Disaster Recovery). Continuity Patrol™ (CP) enables “Live Business Impact Analysis” functionality that leverages the dependency definitions and cost data to calculate quantitative financial impacts that can be specific to a single production application or a set of production applications or the entire data center. Marketing Manager, Perpetuuiti Technosoft Services Pvt. Ltd.